Fly over Namibia for an extraordinary experience, taking in desolate beauty of the desert and ocean! View the rugged wilderness of Skeleton Coast Park and Ugab formations, and course along Cunene river by aircraft and boat. 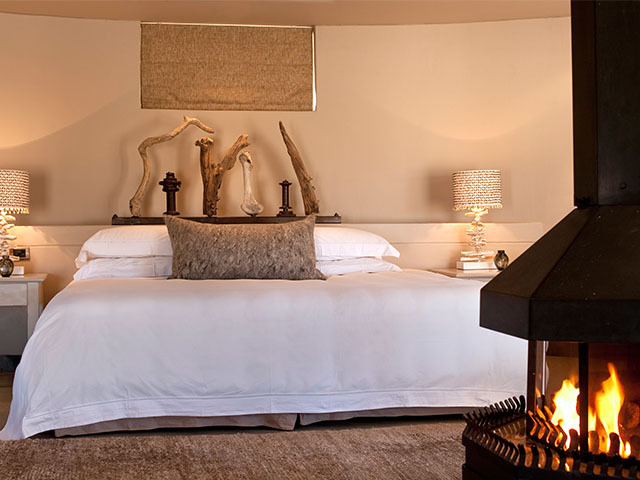 Experience Namibia in opulent luxury! The Namibian adventure begins at Windhoek, a bustling city and the country’s capital. Upon your arrival at Hosea Kutako (Windhoek) International Airport you will be met by our representative and transferred to Olive Exclusive Boutique Hotel. Windhoek is the main port of call for most tourists and all travellers pass through the city at least once. Windhoek lies in a pretty valley with buildings very much in the German architectural style. The German presence can be strongly felt in the food, restaurants and of course the beer. The Namibian beer is said to be the best in Africa, and is brewed in Windhoek. Olive Boutique hotel is the perfect luxury base from which to explore Windhoek and its surrounds before heading off on a Namibian safari. Enjoy a spectacular aerial view of the Kuiseb canyon and the famous Eduard Bohlen shipwreck at Conception Bay. After a wholesome breakfast you will be driven to Eros for your departure at 10.00 a.m to the Skeleton Coast via Conception Bay. The Kuiseb canyon and adjoining red dunes are a spectacular view from the air. The flight includes an aerial view of the famous Eduard Bohlen shipwreck at Conception Bay. After landing and refueling at Swakopmund, continue with a low-level flight north along the Skeleton Coast past the seal colony at Cape Cross for a light picnic lunch near the beach. After lunch, cross the desert by aircraft to the Ugab formations, a nearly lifeless ‘moon landscape' of numerous black ridges in stark contrast to the white desert floor. Proceed to Kuidas camp in the Huab River Valley where you stay for the night. Situated in southern Damaraland, in the Huab River Valley, Kuidas Camp nestles in the reed-beds that line this ephemeral river. The camp is very simply designed but is comfortable and well equipped. It has a small central area where all meals are served and in front of this a warming evening fire. Each of the dome tents is enclosed by reed walls and has a thatched reed roof. They have twin beds with neutral-coloured bedding, between which is a table with vanity mirror. Bottled water and tissues are provided as well as a large battery powered lamp. Housed in the same structure you have an en suite bucket shower with hot water provided on request. Shampoo/shower gel, insect-repellant cream and towels are provided. There are two main flush toilets with hand basins in the camp, shared between the visitors. Get introduced to the ecological aspects of Huab River with its wide diversity of flora and fauna. Depart by Land Rover to explore the colorful red lava and yellow sandstone of the Huab River environs. The flora and fauna includes the Welwitschia Mirabilis, a tree that has been dwarfed by the rigors of the encroaching desert climate. Have lunch at Kuidas camp before flying along the coast to Terrace Bay in the Skeleton Coast Park. The most prominent shipwrecks along this part of the coast are the Montrose and Henrietta. At the coast you access the roaring dunes by Land Rover, which always proves to be an exciting experience. Visit the beach with its profusion of multi-colored pebbles consisting of agate, lava, granite and quartz. Interesting to see are old bleached whale bones scattered along the beach above the high tide mark. Return to the aircraft and continue north to our Purros camp in the Hoarusib Valley in the Kunene Region, where you stay for the night. The design of the camp is very simple, however it is comfortable and well equipped. Meals are served in the small central area and drinks are enjoyed in front of this around the warming evening fire. Each small dome tent is enclosed by reed walls and thatched reed roof; and have proper twin beds with cream colored bedding, separated by a bedside table with mirror. A large battery lamp is provided, as well as bottled water and tissues. Within the reed boundaries of the tent are an en suite, hot bucket shower and a stone table with a bowl placed on it for washing your face and hands. Shampoo/shower gel is provided as well as insect-repellant cream and towels. The camp has two main flush toilets with hand basins in the camp for the use of all visitors. Embark on a scenic drive along the Hoarusib Valley to visit a settlement of the nomadic Himba people. 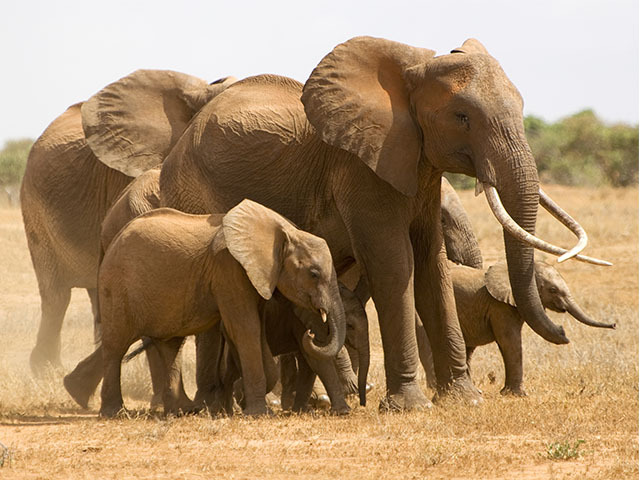 You might be lucky enough to come across the desert-dwelling elephant that frequent this valley. Continue north along the Skeleton Coast by aircraft to the Kunene River acting as a border to Angola. The Kaiu Maru shipwreck and pieces from old sailing vessels lie scattered along this part of the coast. From the airfield, take a scenic drive by Land Rover to our favorite lunch site. After lunch, continue through the mountains and dunes of the Hartmann Valley - which extends to the Kunene River - reaching our Kunene River camp in the late afternoon. Each of the dome tents is covered and surrounded with a reed and has proper twin beds with neutral bed linen. The tents also have a bedside table, battery powered lamp, bottled water and tissues. Housed in the same reed structure there is an en suite bucket shower with hot water provided whenever you require it. Shampoo/shower gel is provided as well as insect-repellant cream and towels. The camp has two flush toilets with hand basins which are for communal use. Spend two nights in Swakopmund, this town is traditionally a holiday spot for locals and foreigners alike, with many opportunities for adventure sports and some good old-fashioned fun. Today, you can look forward to an early morning boat cruise along the Kunene River that snakes its way through the desert landscape. 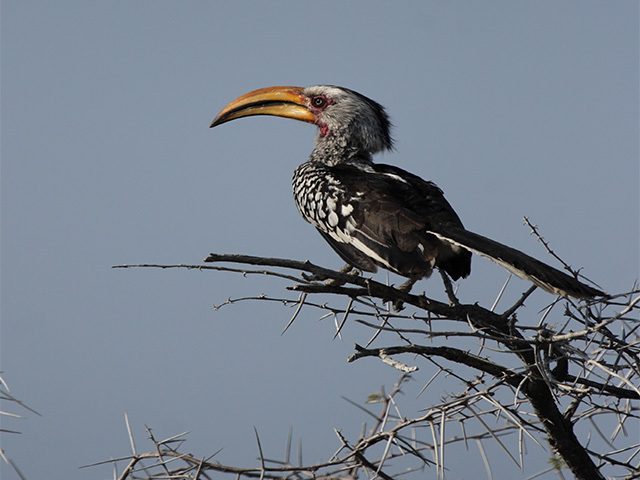 Enjoy exceptional bird (and perhaps some crocodile) sights. You will arrive back in time for lunch at the Camp before boarding the light aircraft for your flight to Swakopmund Airport, arriving late afternoon. 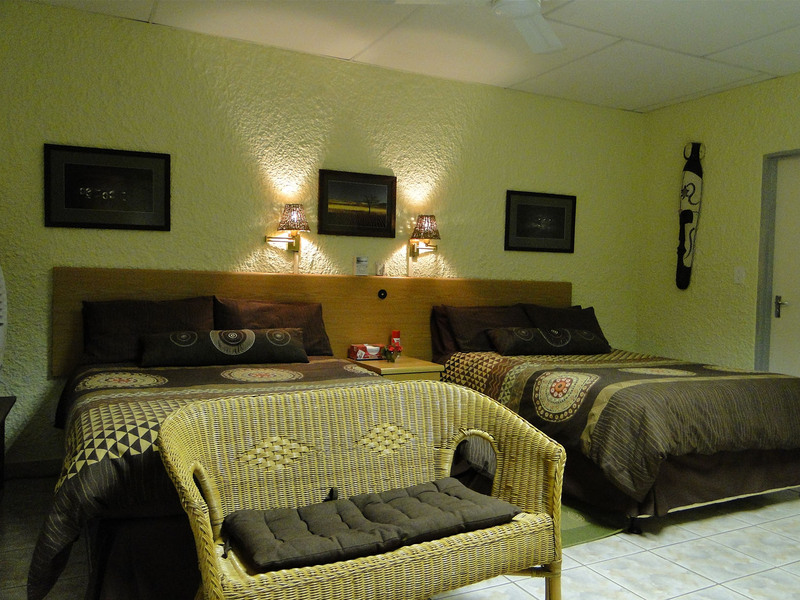 You’ll be received and transferred to Swakopmund Boutique Hotel. Swakopmund is a charming little seaside town, on Namibia’s western coast, retains a strong German flavor – from the cobbled streets and picturesque buildings, down to the typical German restaurants and pubs. Swakopmund is an ideal place to relax after a few days in the desert; wash off the sand and sample some of the finely-brewed local beer and renowned Swakopmund fare such as fish, lobster and the utterly delicious Swakopmund oysters. Spend two nights at the Swakopmund Boutique Hotel in a suite. Each of the Hotel’s 21 suites is custom-designed, and front facing suites offer a private balcony to enjoy views of the historic town and partial views of the nearby Atlantic seaboard. The Roof Terrace is an inviting area where you can relax and enjoy sun-downers as you take in the spectacular sunsets over the Atlantic Ocean. One of the highlights of any Namibian adventure is a visit to Sossusvlei. Spend the next few days in this magnificent location. Today you will be picked from the hotel for your short flight to the Sossusvlei Airstrip. Visit the Sossusvlei, situated in the heart of the enormous, almost 50 000 sqkm, Namib-Naukluft Park. Easily accessible to visitors, Sossusvlei is a clay pan, only rarely filled by water, but a place of awe-inspiring beauty. Visitors to the region will be left spellbound by the magnificent ochre-colored sand dunes, which rise over 300m into the sky – the highest sand dunes in the world. Unwind for three nights at &Beyond Sossusvlei Desert Lodge in a desert villa with a private veranda. Your stay includes scheduled activities within the NamibRand Nature Reserve as well as a balloon safari(weather dependent). Adventures include scenic drives with an opportunity to encounter a variety of desert-adapted animals such as gemsbok, zebra, springbok, bat-eared fox, aardwolf, caracal and jackal. Guided walks and hiking trails are also available, as are guided quad bike trails on set paths through the dunes. A resident astronomer and high-powered telescope provide breathtaking views of the clear desert night skies. A Sossusvlei excursion is also included. After a scrumptious breakfast you will board your light aircraft for your flight back to Hosea Kutako (Windhoek) International Airport.Your trip to coastal Namibia ends here in Windhoek.